APCO Worldwide—a leading global communications consultancy—is a looking for a dynamic Communications leader to grow APCO’s communications business by maintaining and developing client relationships. The role will be based in Shanghai and report to the Managing Director. We are searching for an experienced consultant (Director or Sr. Associate Director-level) who is energetic, analytical and excited to take ownership of client relationships. They will be responsible for leading a Shanghai-based team, developing 4 – 6 high-value client relationships, guiding strategy, executing projects, and growing the business. S/he will be a proven leader in strategic corporate communications in China with at least 8-10+ years of relevant experience in leading teams within a PR or communications agency and/or in-house corporate communications experience. Note: this role will focus on strategic communications, corporate affairs and public affairs, not consumer PR or marketing communications. ▪ Strong consideration will be given to candidates with experience in health care, fast moving consumer goods, transportation and technology sectors. Additionally, preference will be given to candidates who have worked in communicating around material business issues (such as M&A, transactions and litigation), innovation and sustainability. ▪ Actively seeks opportunities for marketing APCO through thought leadership, networking, etc. EXPERIENCE: Minimum of 8+ years of relevant communications experience; experience in PR, corporate affairs or public affairs for an MNC or consultancy in China; strong project, budget and client management skills; experience pursuing and developing new business; fluency in Mandarin and English required. OFFICE ENVIRONMENT: The position will be based in APCO’s Shanghai office working alongside approximately 25 Chinese and international colleagues in Shanghai and a staff of approximately 50 people across China. Local travel and occasional international travel is a requirement of the job. To apply, please send your English resume and cover letter to Ms. Delice Wang, APCO Worldwide via email dewang@apcoworldwide.com. 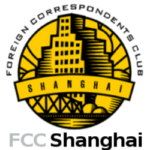 Please clearly specify that you are applying for Communications Director position in Shanghai in the subject line of your email.